In the biggest naval battle of the war, the British Royal Navy fights the German fleet near Jutland in the North Sea. 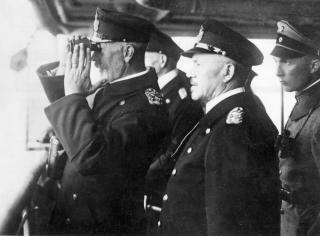 Germany sinks several British ships but fails to achieve their main goal of breaking the Royal Navy's blockade of Germany. The 5th Battle Squadron, a squadron of battleships that took part in this battle, was under the command of the Welshman Rear Admiral Hugh Evan-Thomas from the Gnoll in Neath.